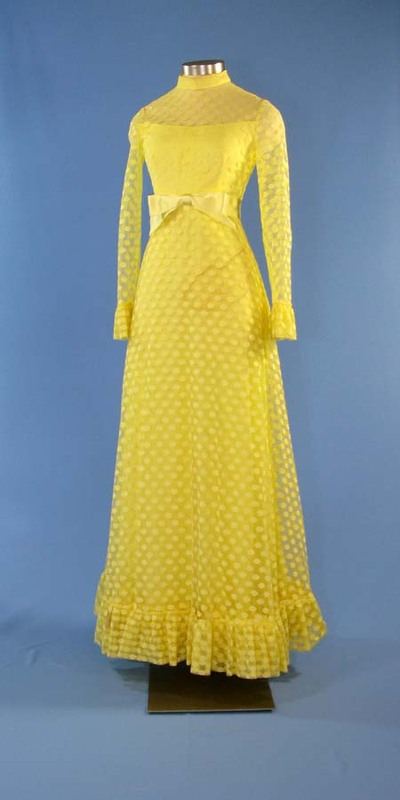 A lemon yellow, polka dot gown designed by Frankie Welch for First lady Betty Ford. The yellow, chiffon gown features polka dot layers over a solid yellow spaghetti-strapped gown. The gown includes long sleeves with ruffles at the ends and the hem, a yellow satin ribbon around the waist, and a zipper up the back.